Yawgmoth's Vile Offering ($0.43) Price History from major stores - Dominaria - MTGPrice.com Values for Ebay, Amazon and hobby stores! Card Text: (You may cast a legendary sorcery only if you control a legendary creature or planeswalker.) 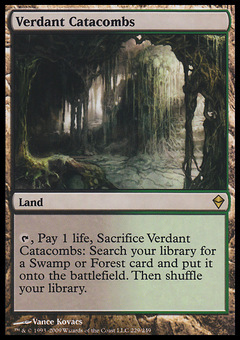 Put up to one target creature or planeswalker card from a graveyard onto the battlefield under your control. Destroy up to one target creature or planeswalker. Exile Yawgmoth's Vile Offering. Flavor Text: Centuries ago, a mad god offered a simple trade.